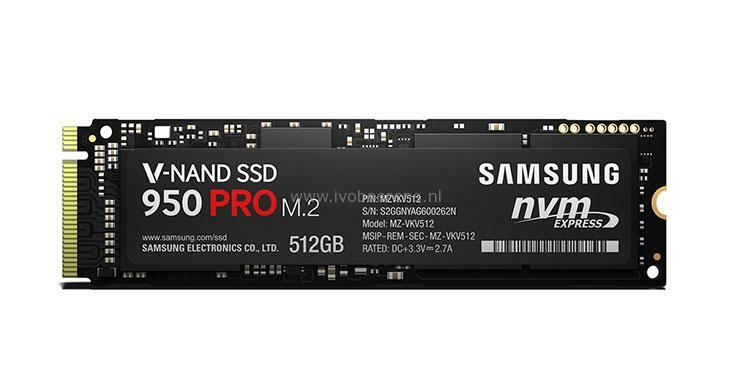 Uses V-NAND memory and the Non-Volatile Memory Express (NVME) protocol. This takes away the 600 MBps bandwidth limit with the SATA protocol. 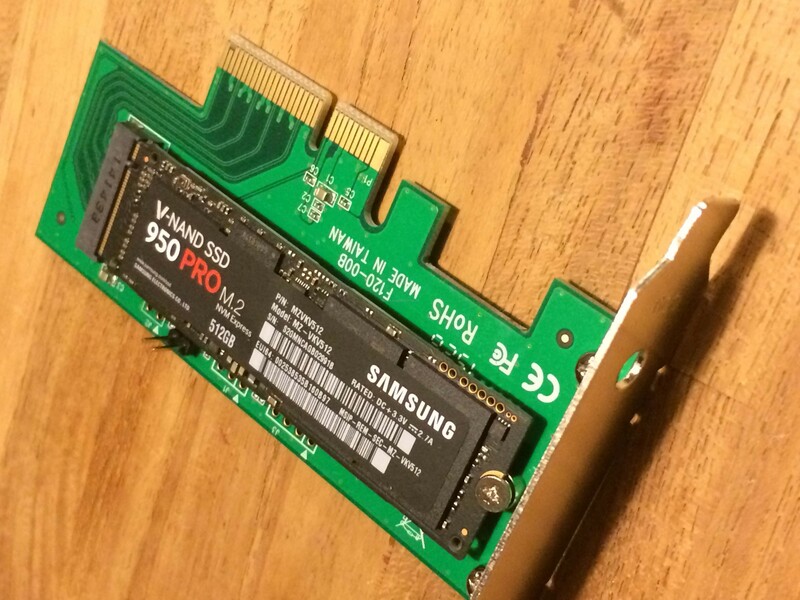 These improvements results in being one of the fastest consumer SSD on the market today. 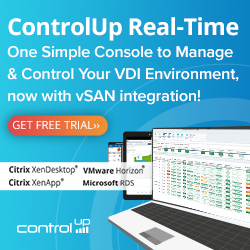 In my current home lab don’t have a PCIe Gen3 x4 slot or a M.2 interface. 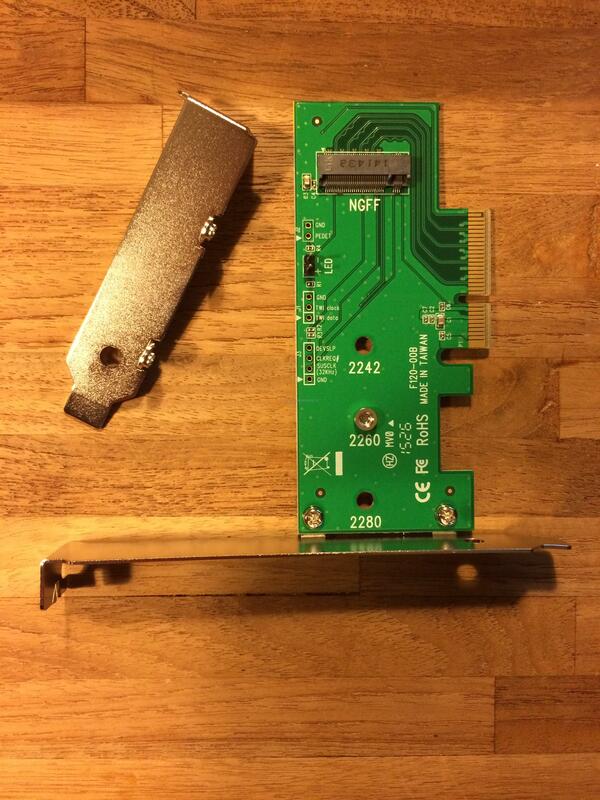 I found a “interface converter PCI-Express, M.2 NGFF” (link) adapter. It’s the same adapter as the Lycom DT-120 (link) another great blog called TinkerTry is referring to (link). The adapter converts the M.2 interface to a PCIe interface slot. My first step was checking if the firmware is up to date with the Samsung Magician software. 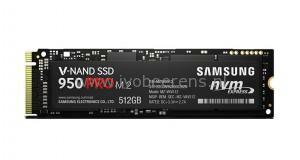 In Windows 2012 R2 the Samsung 950 Pro SSD is standard recognized. 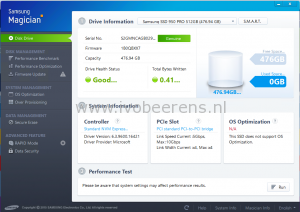 The latest drivers and software can be download here, link. 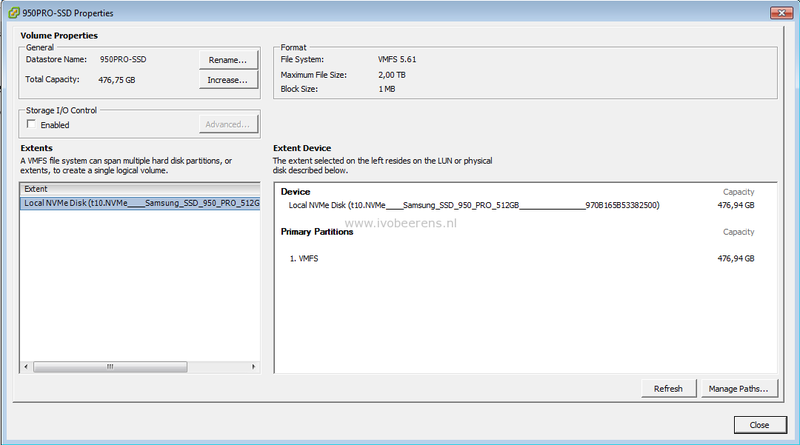 The Samsung 950 PRO is recognized by default in VMware ESXi 6 Update 1. 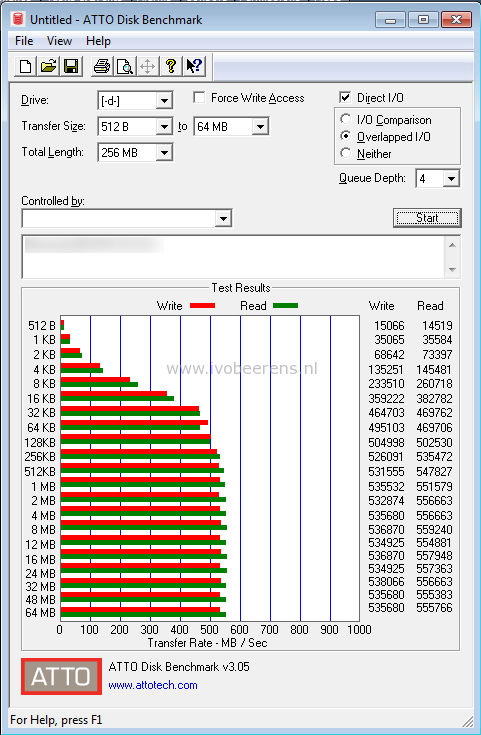 A VM with a 10 GB Thick Provisioned Eager Zeroed VMDK disk is attached. The disk is formatted as NTFS with a standard (4 KB) block size. The Left picture is the Samsung EVO 840 and the right picture is the Samsung 950 Pro. 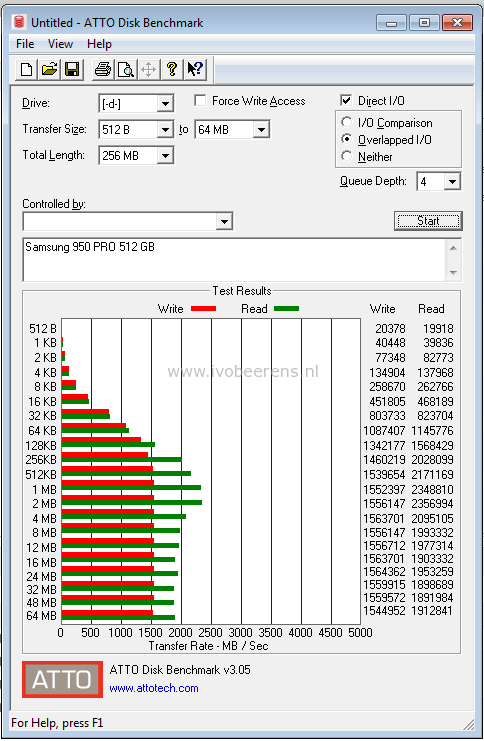 As you can see the read and write performance is multiplied by 3 on the Samsung 950 Pro with the M.2 interface converter . 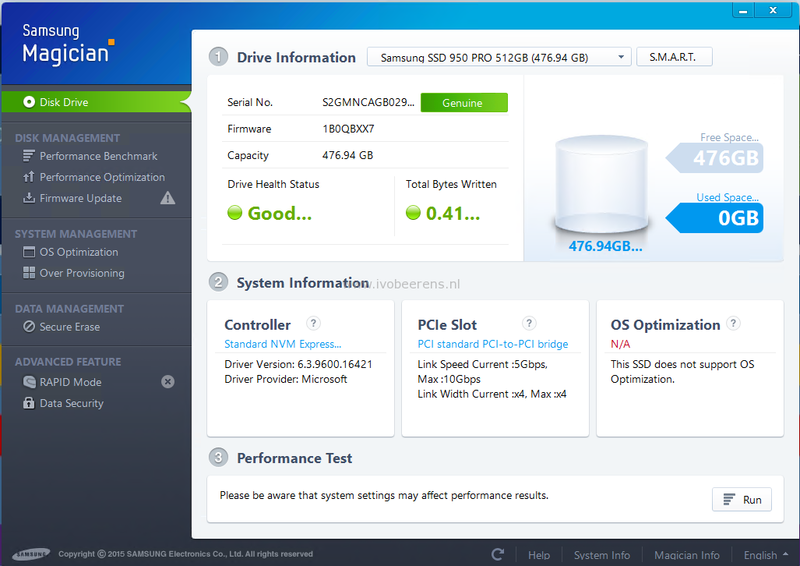 These are pretty impressive numbers for a consumer SSD. 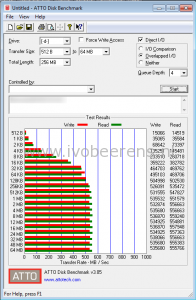 Your slight speed drop for the later benchmark results could be a tiny bit of expected thermal throttling. Thanks for taking the time to publish this. It’s nice to not have to install a VIB (with the Intel 750 Series, I had to, for decent speed).